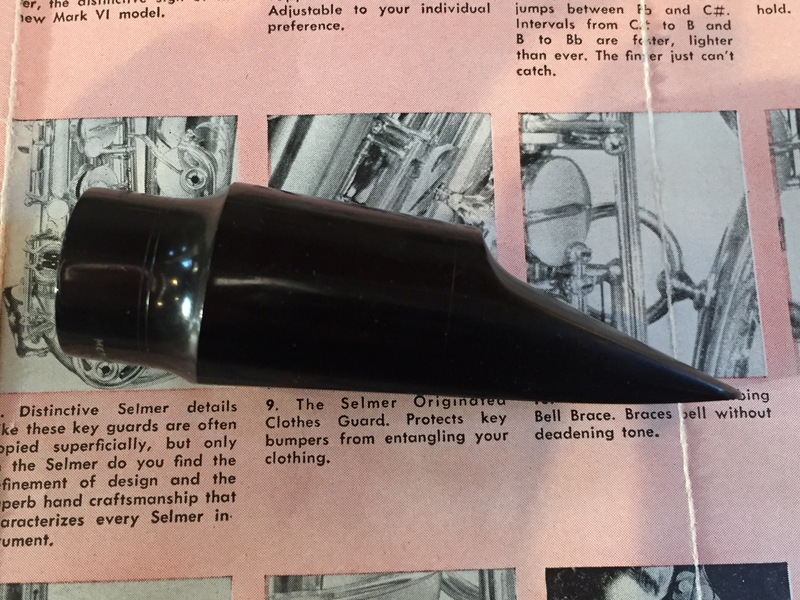 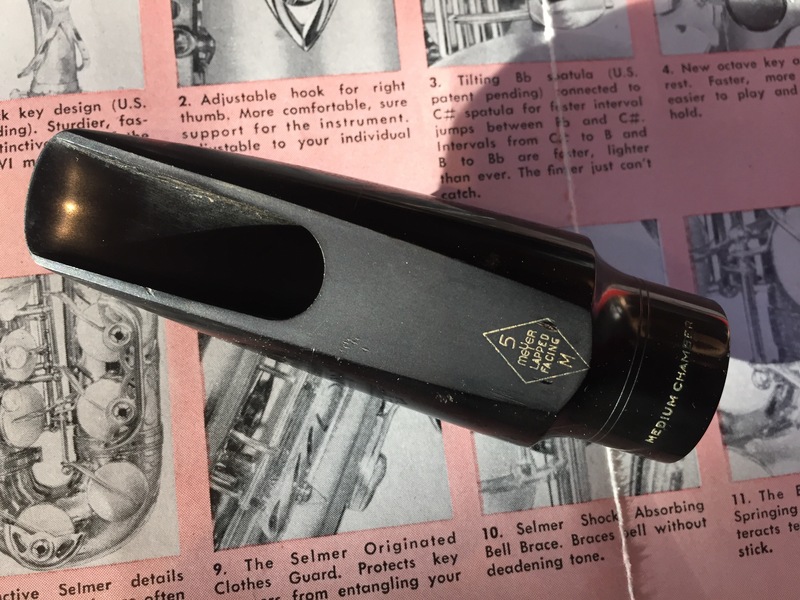 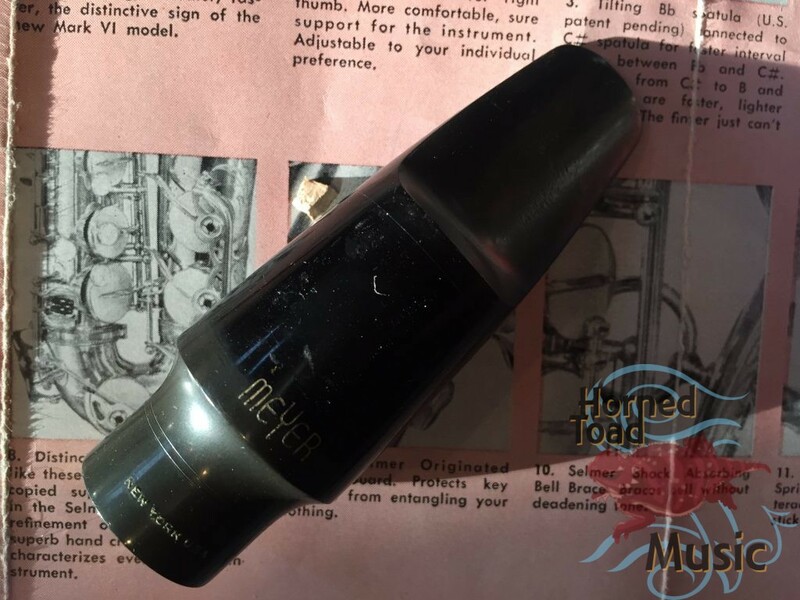 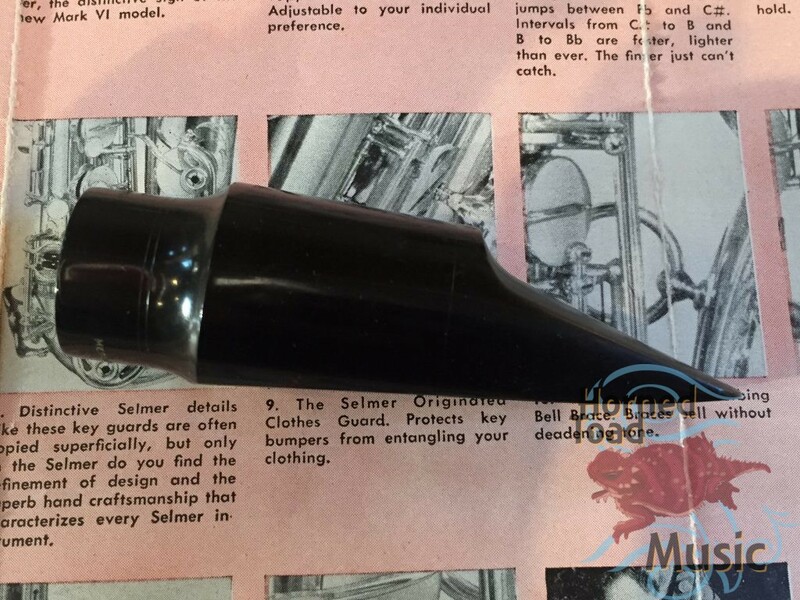 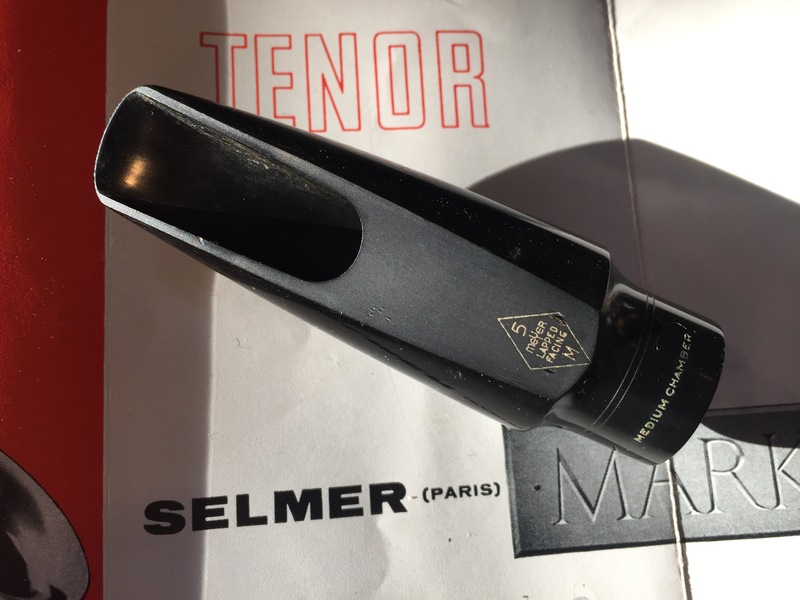 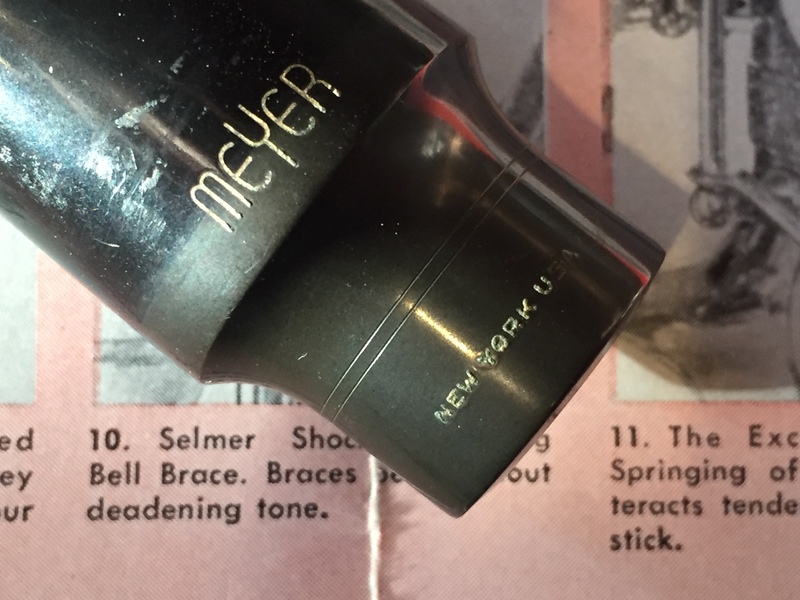 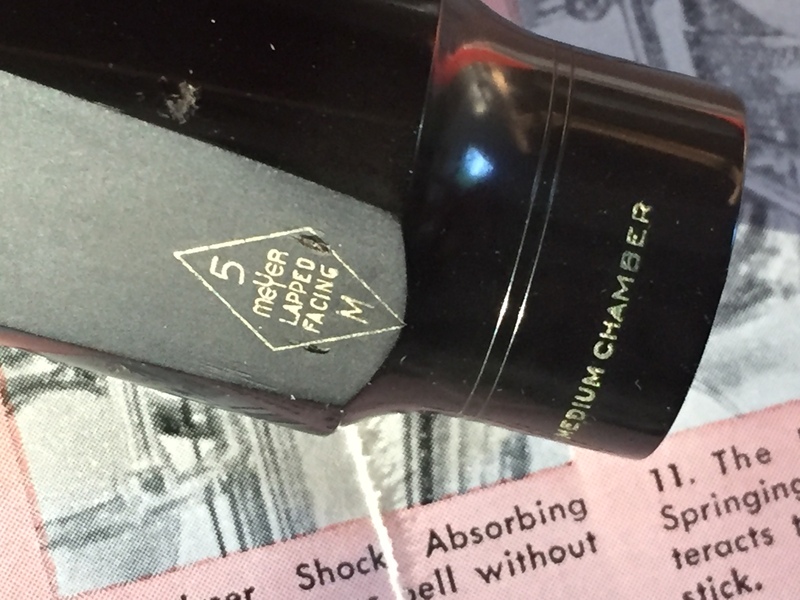 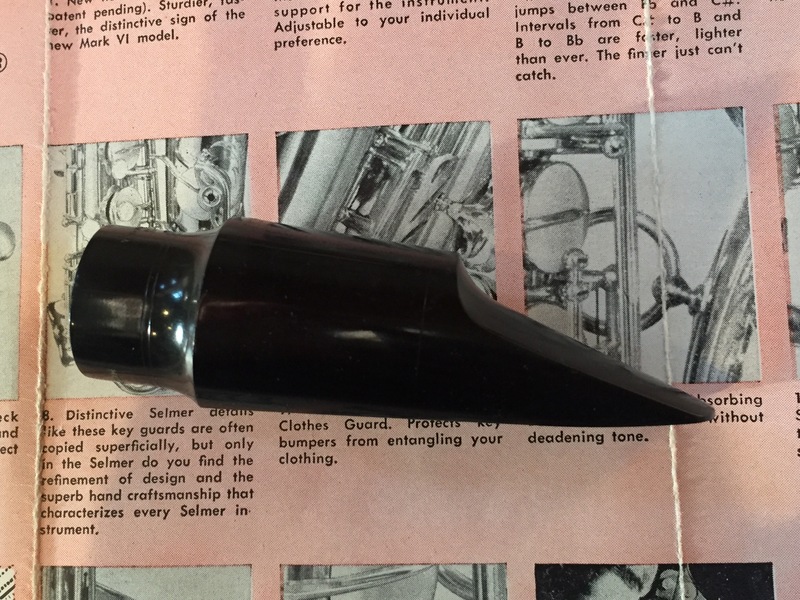 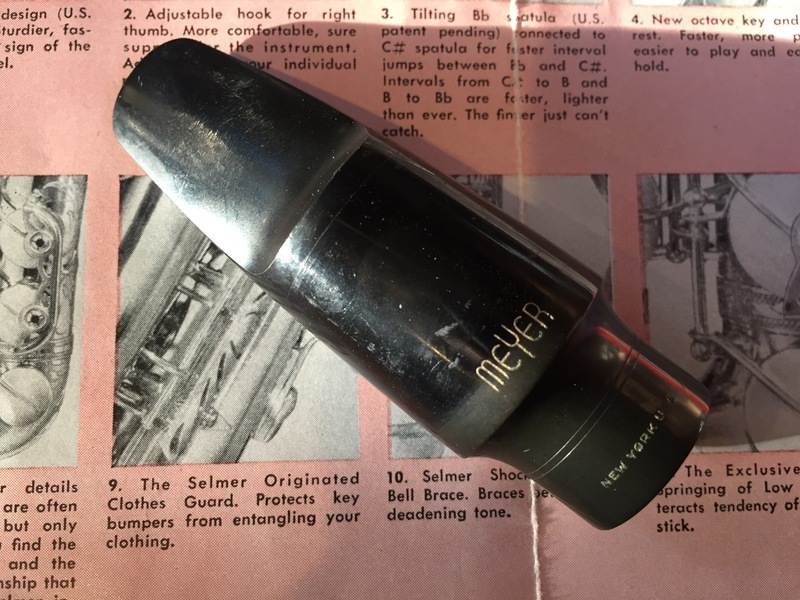 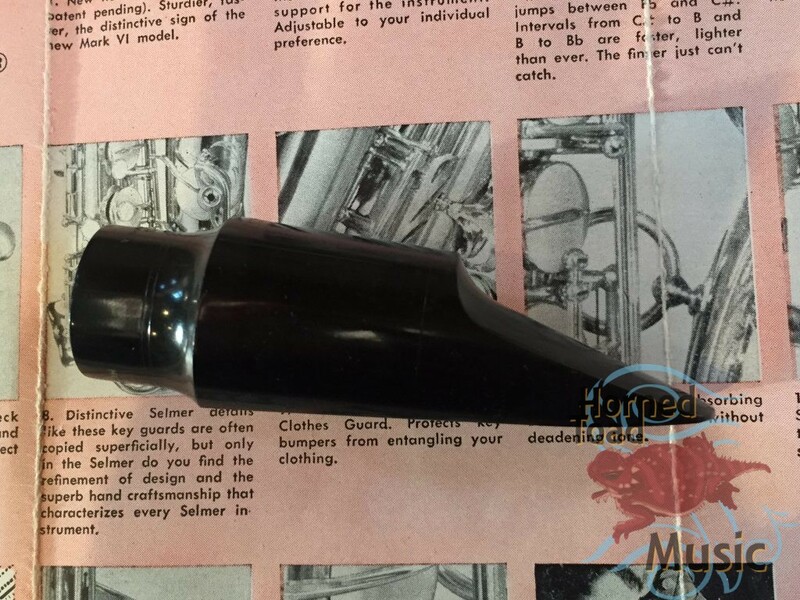 Here we have a very very nice example of a NY USA Meyer also saxophone mouthpiece with a 5M facing. 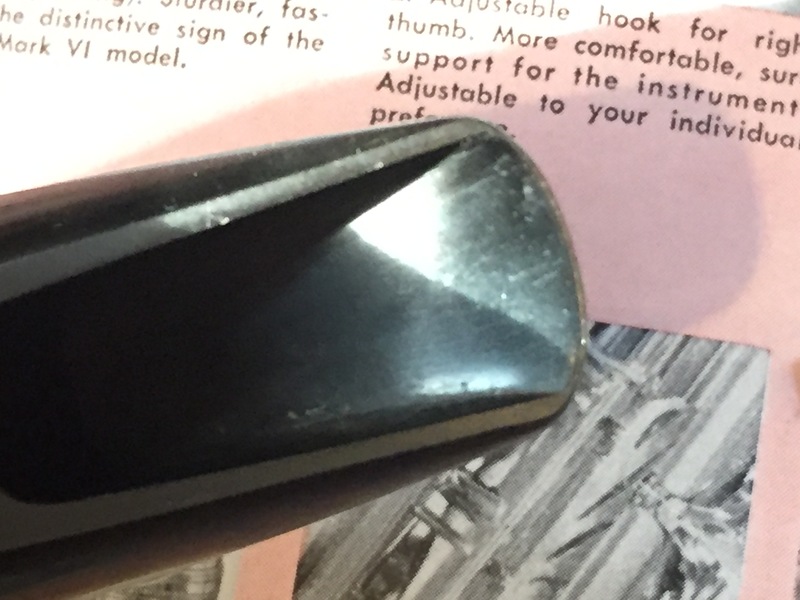 This looks to be a rather early one. I have not even played it, but that tip rail and baffle finish looks precise and beautiful. 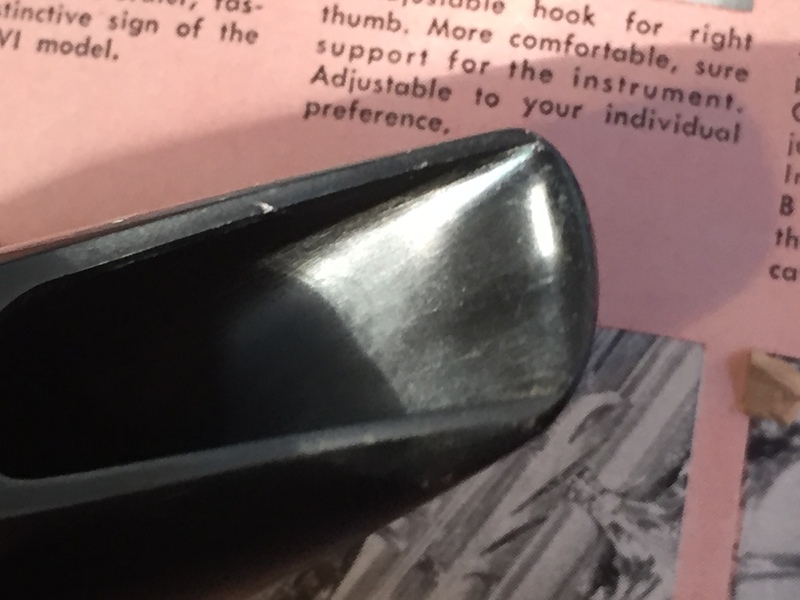 It also happens to be in excellent condition. 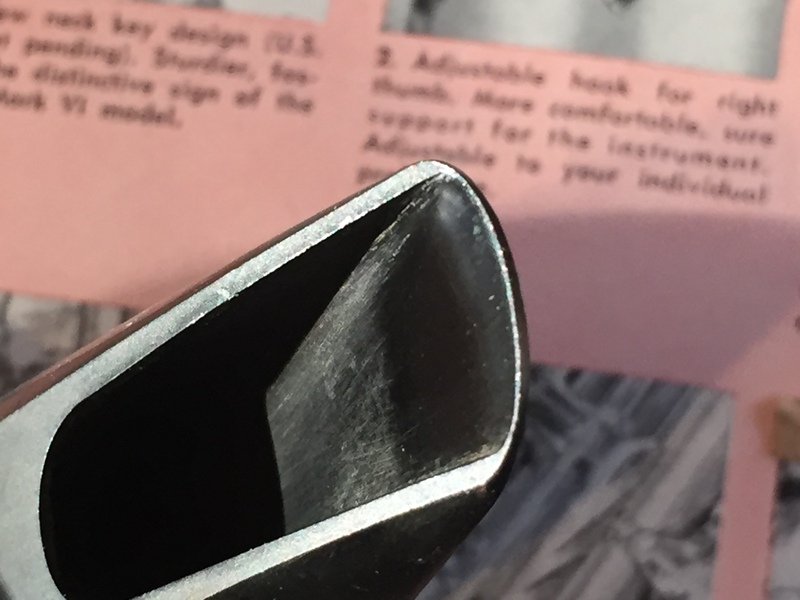 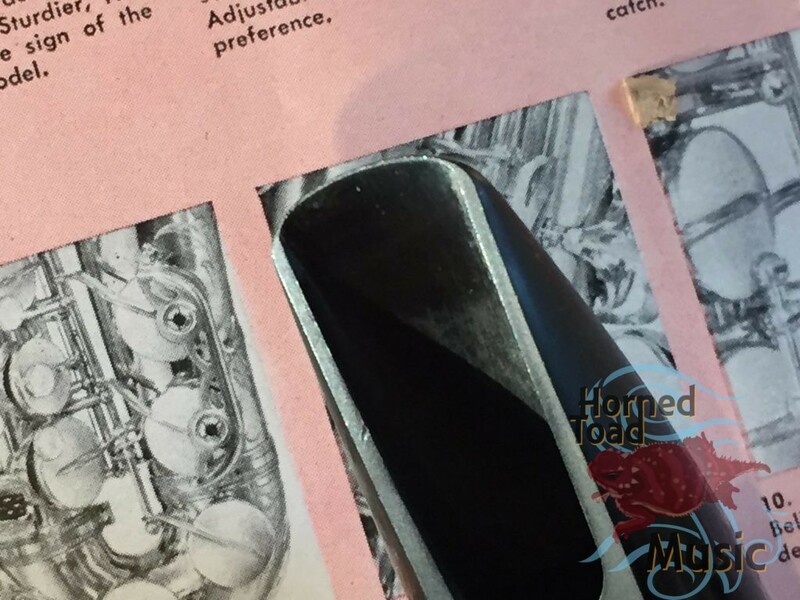 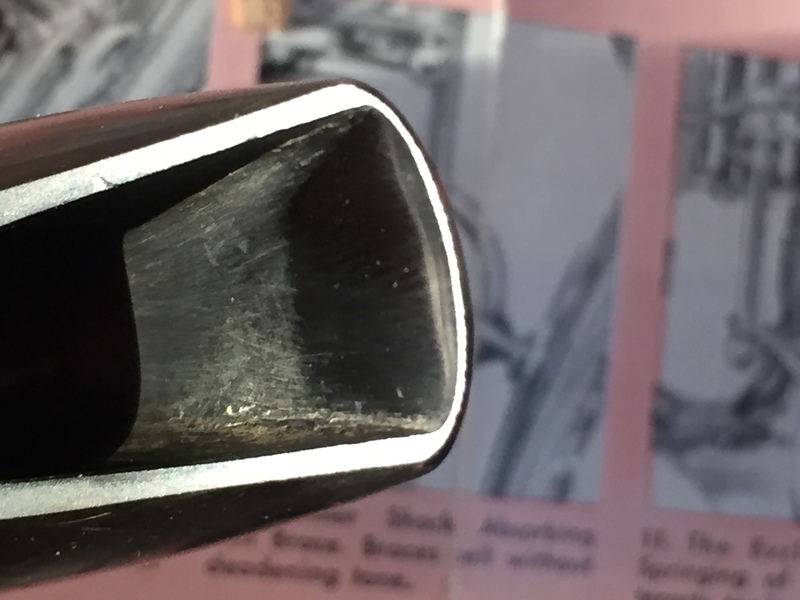 The tip measures between .071 and .072 on my tools, probably .072. 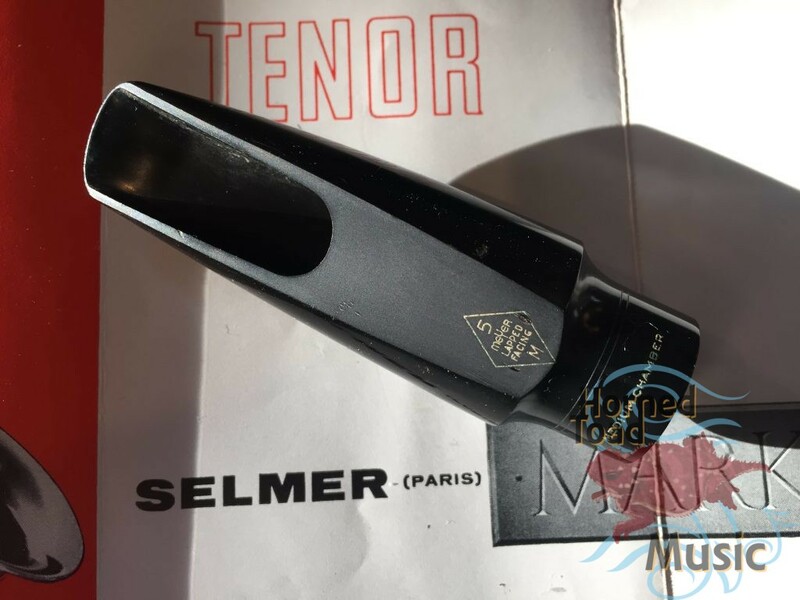 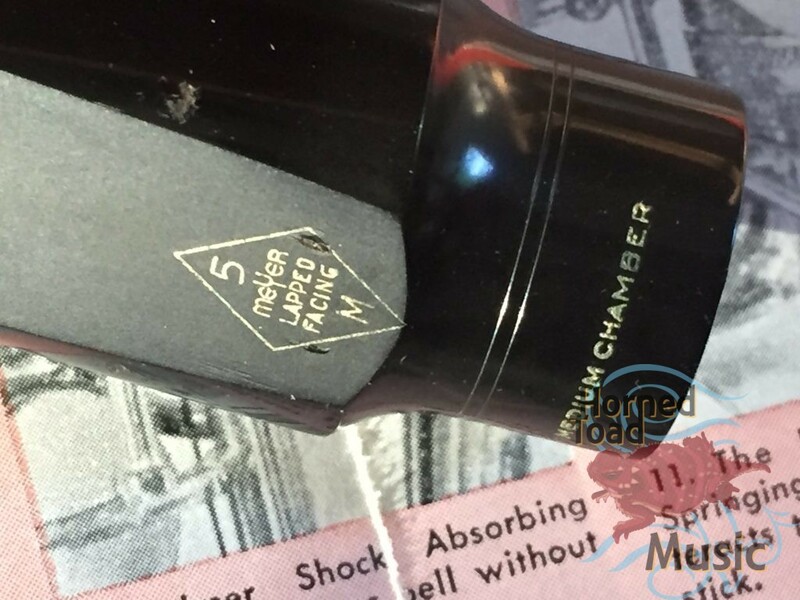 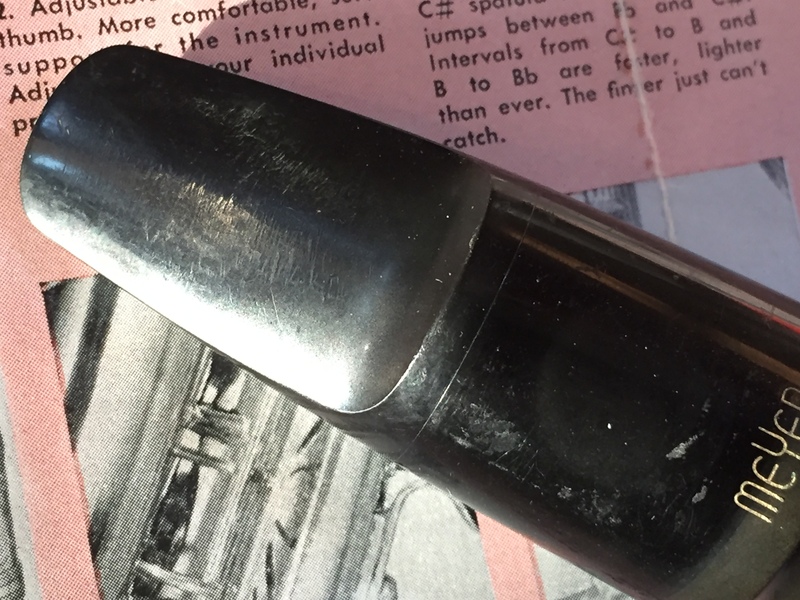 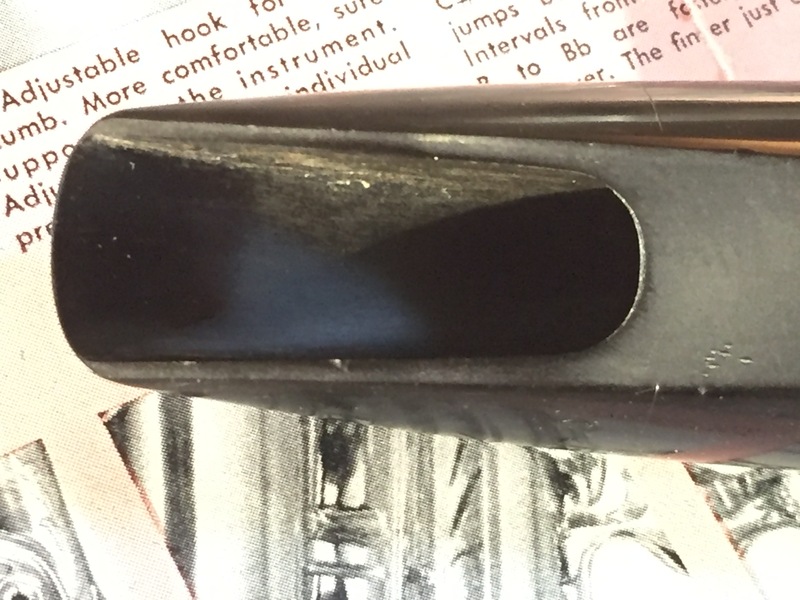 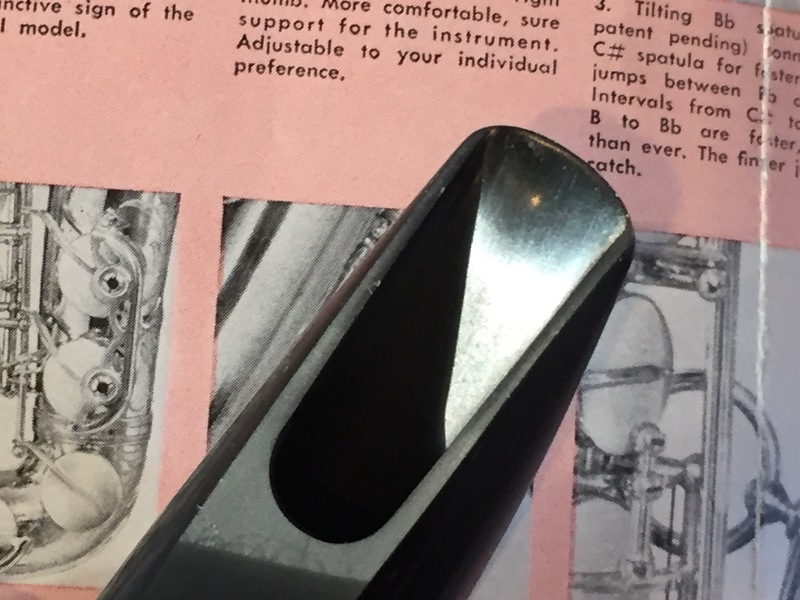 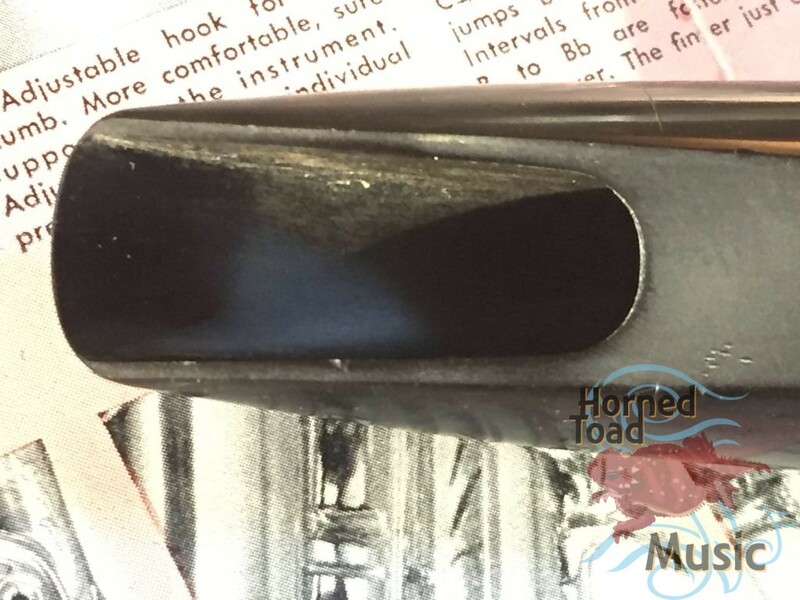 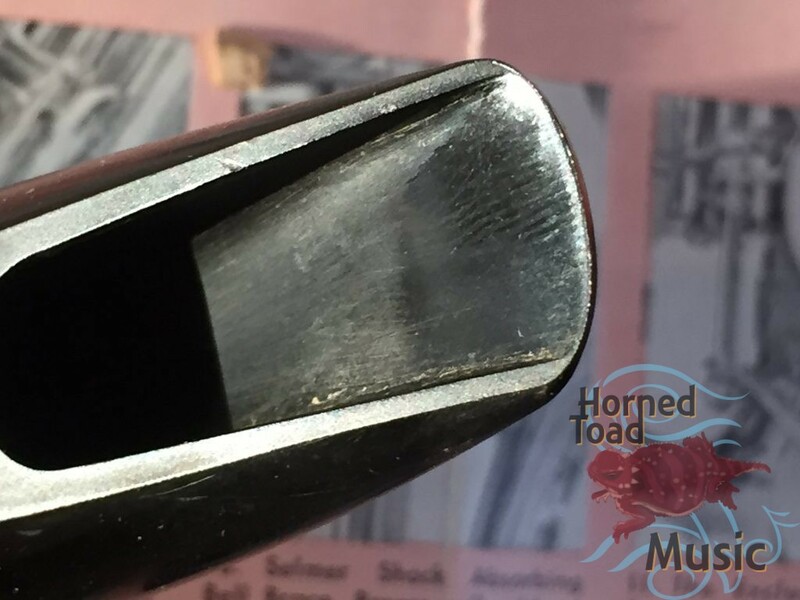 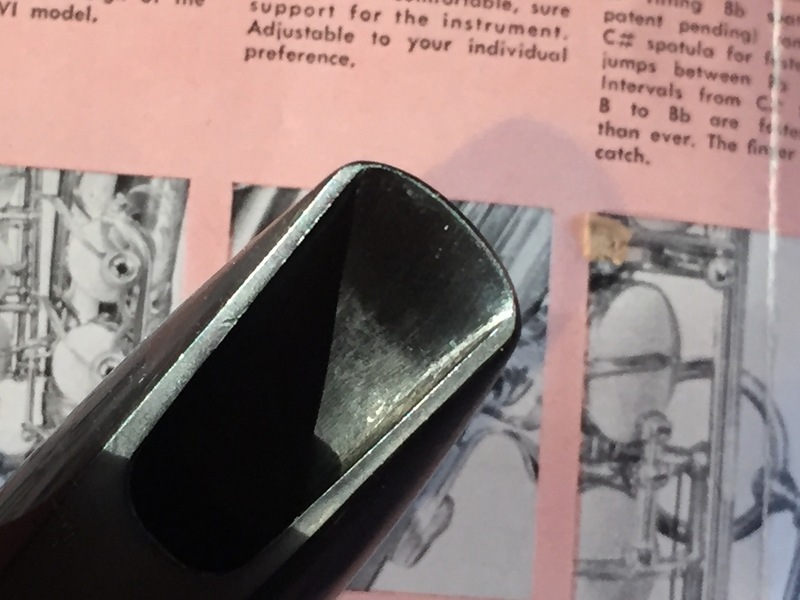 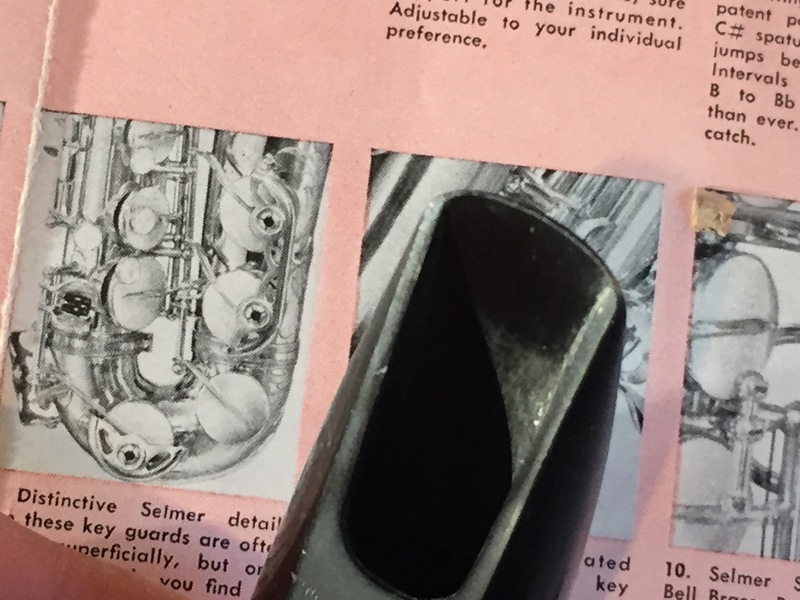 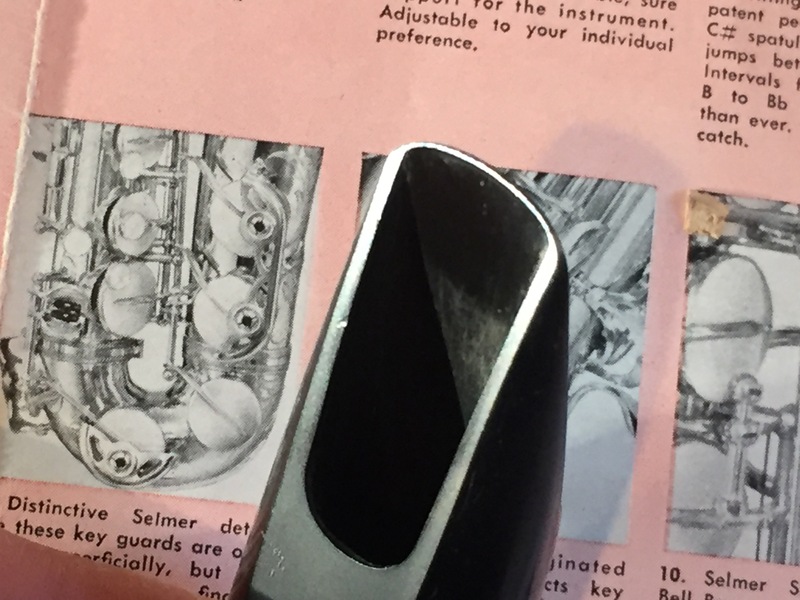 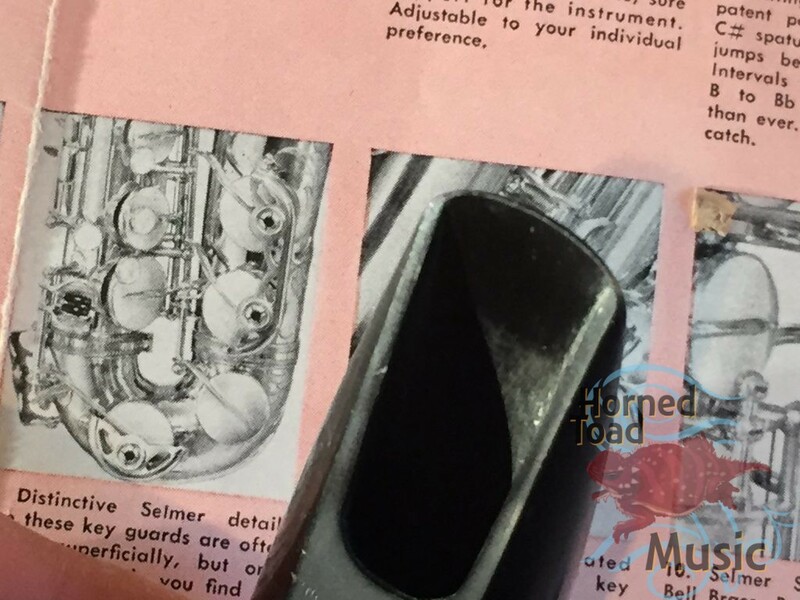 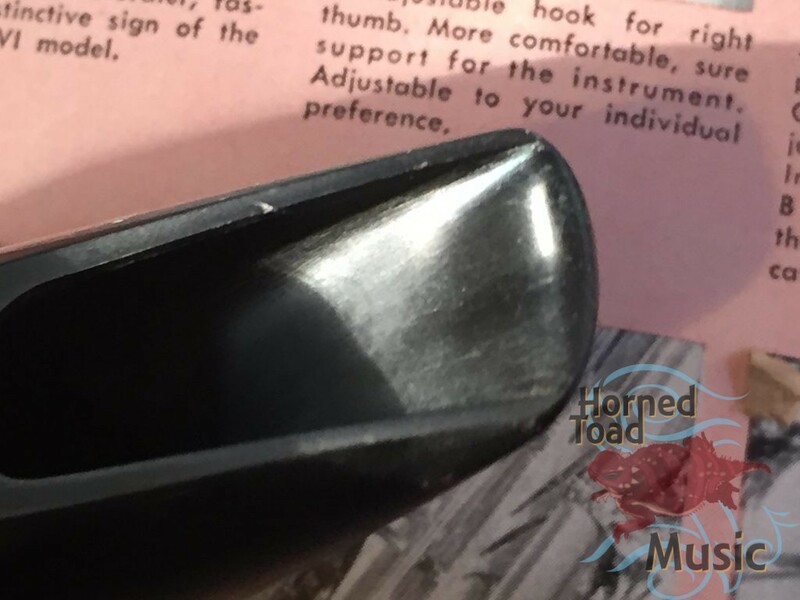 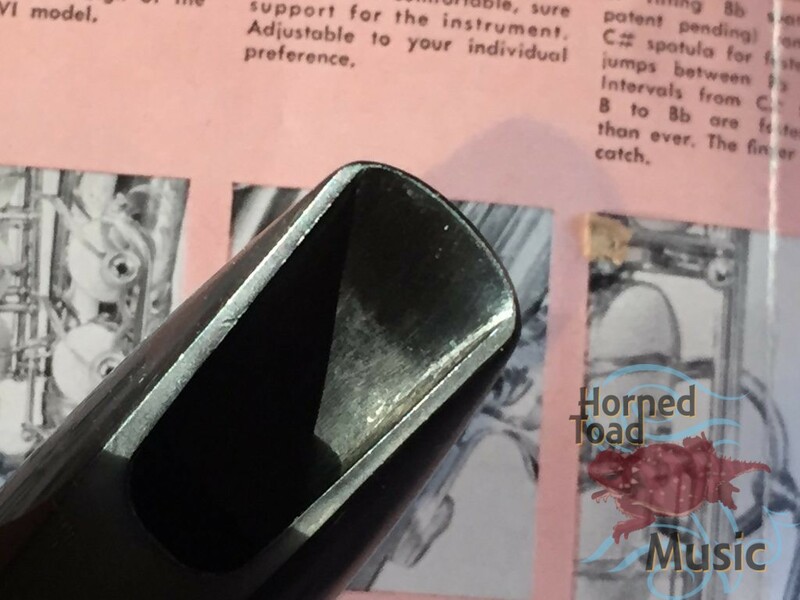 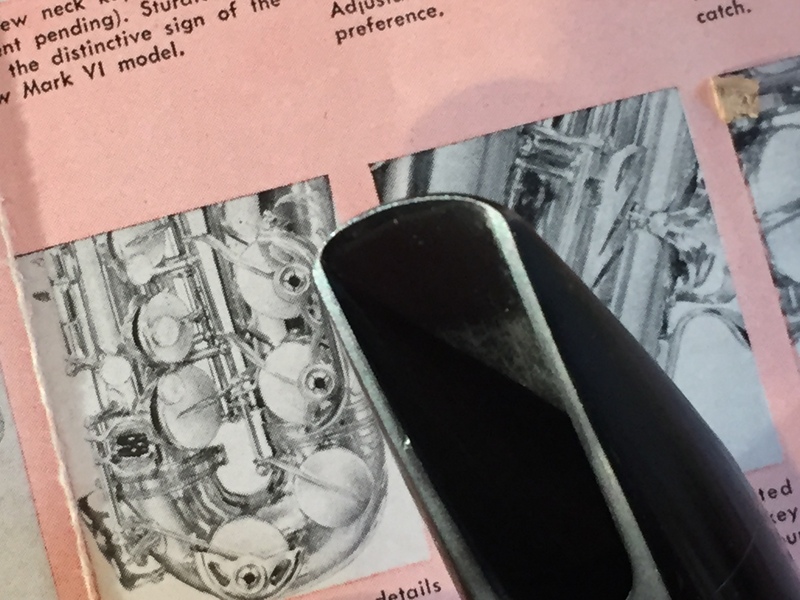 As you can see there are some nicks and scratches on the mouthpiece as well as some marring of the biteplate surface, but nothing significant other than cosmetic issues there. 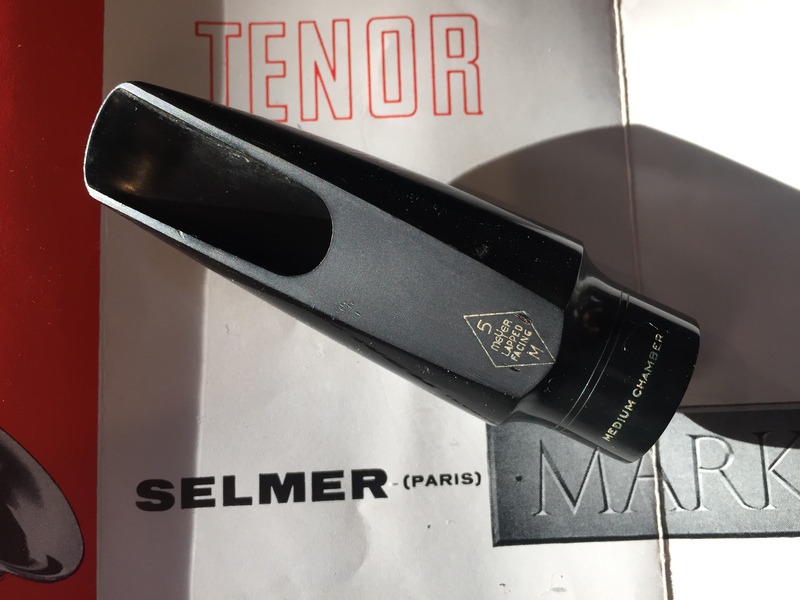 There is a reason these are so popular, as they play with a particular power within a focus that is extremely satisfying on alto.